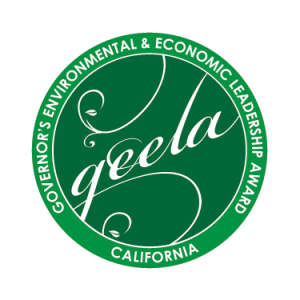 The Governor’s Environmental and Economic Leadership Award (GEELA) is California’s highest environmental honor. 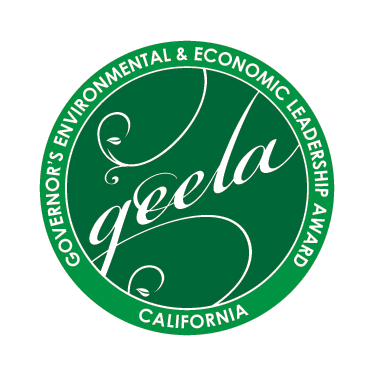 The award honors individuals, organizations, and businesses that have demonstrated exceptional leadership and made notable, voluntary contributions in conserving California’s precious resources, protecting and enhancing our environment, building public-private partnerships, and strengthening the state’s economy. Applications for the 2017 awards are being accepted through Friday, August 11, 2017. The awards will be presented for voluntary achievements culminated in 2016. Competition is open to all California residents, businesses, nonprofit organizations, professional and trade associations, communities, state and local government entities, tribes, and federal agencies operating in California. Projects are deemed ineligible if they are the result of mitigation, litigation, or required by legislation. Those who applied previously are welcome to apply again. The annual Governor’s Environmental and Economic Leadership Award is administered by the California Environmental Protection Agency, in partnership with the California Natural Resources Agency, the California Department of Food and Agriculture, the California State Transportation Agency, the California Business, Consumer Services, and Housing Agency, the California Government Operations Agency, the California Labor and Workforce Development Agency, and the California Health and Human Services Agency.